Power washing your home or property is a fast and efficient way to get your home looking clean and pristine. Power washing your home can transform its overall curb appeal which increases the value of your home. Homeowners are always faced with a tough decision between doing it yourself style and hiring a professional to do the power washing. When it comes to power washing, considering the DIY option can be more dangerous and costly compared to hiring a professional. Below are some reasons why DIY power washing may be a bad idea. A lot of people tend to underestimate the real strength of a pressure washer. The water pressure from a typical pressure washer is almost 55 times stronger than the pressure from the conventional garden hose. Such pressure can cause severe injuries to your hands and feet. The pressure can even cut through heavy duty boots! The immense force makes it hard to control the hose which increases the risk of having to deal with runaway hose that can cause severe injuries to the other people near you as well. Cleaning professional agree that the most significant risk when power washing your own house is generating water damage to your house walls. Some of these commercial pressure washers can reach 4,000 PSI making it easy to shoot water upwards into the siding of your house. Water heating your insulation and wiring is not only destructive but also dangerous. Think of the risks of shorting out your entire home. Sometimes the resultant wetness takes a long time to dry which may result in mold, crumbling, and cupping. Although cleaning out of order may not be damaging or dangerous, but it makes your cleaning efforts worthless. If you try to clean your windows first then try to pressure wash, you will realize that you will end up filling your already sparkling window with grimy residue and dirt. Pressure washing experts usually follow a specific order while cleaning so that anything that has already been cleaned stays clean. 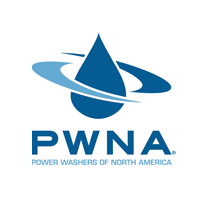 Power washing typically involves dangerous cleaning chemicals. These chemicals can cause serious health problems if they get into a wound or cut. The chemicals can also lead to severe bacterial infections and other health hazards if they get into your bloodstream. DIY power washing can lead to broken windows and missing shingles which will cost you a lot of money to repair. In most cases, older windows and sidings are unable to withstand of power washing, and even newer ones can be damaged if the cleaning is done recklessly. Homeowners who lack experience in power washing usually break their siding, glass, and shingles which is costly. It is always going to be a better use of your time and your money to hire a professional power washing company. This way you can rest assured that the job is done correctly with the right equipment and the right technique.